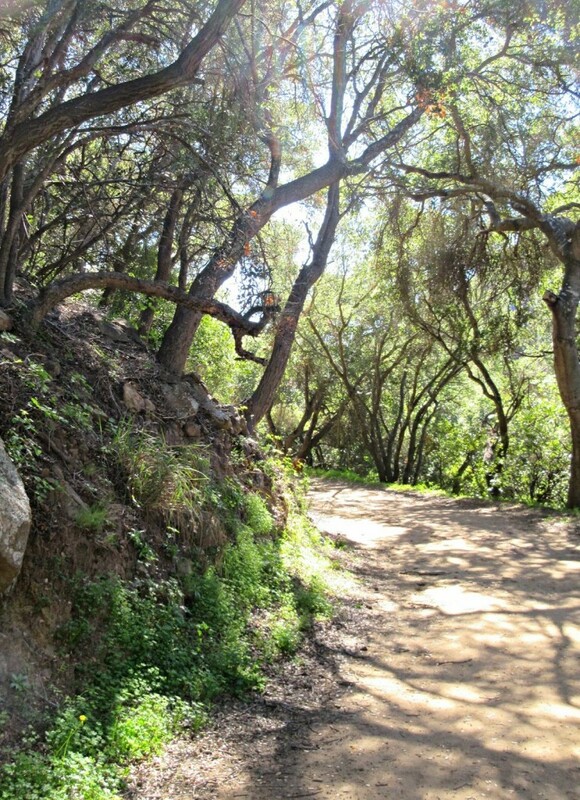 This Santa Barbara hike is absolutely gorgeous! 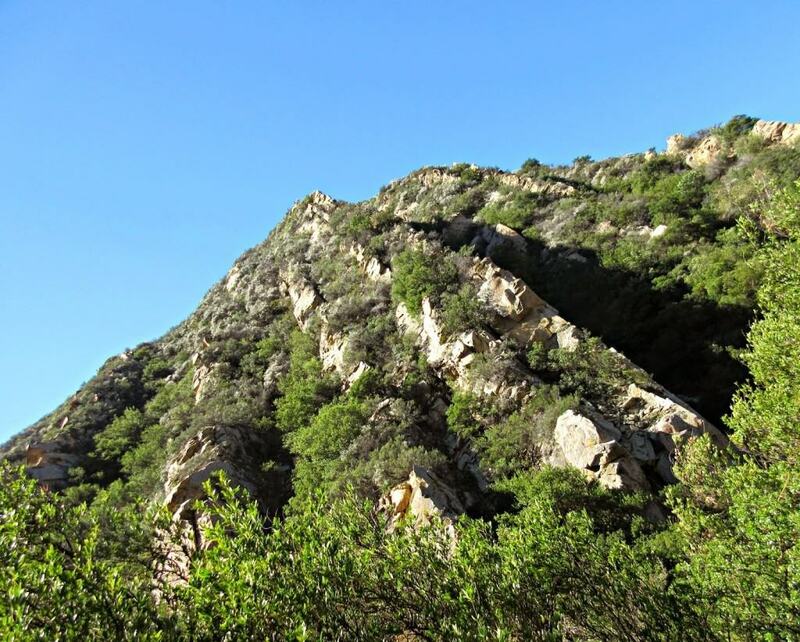 It begins in the foothills of the Montecito area (just south of Santa Barbara) and climbs into the mountains at a nice, steady incline. 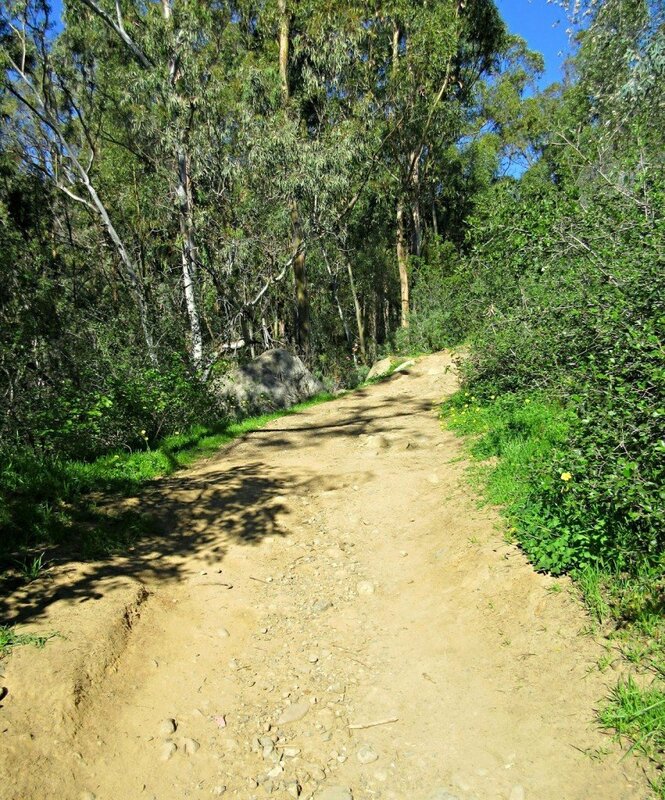 For a weekend hike, it’s an ideal distance too – about 4.5 miles – which took us about 1 hour and 30 minutes at a pretty steady pace. 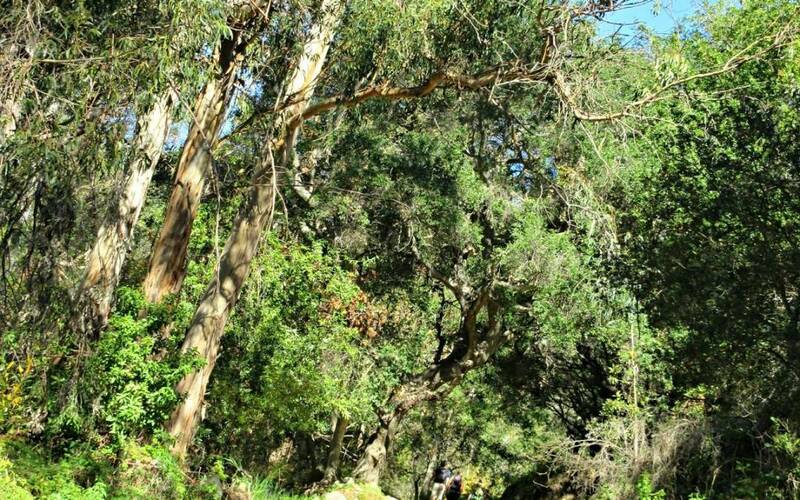 The scenery of this waterfall hike in Santa Barbara is absolutely beautiful too! 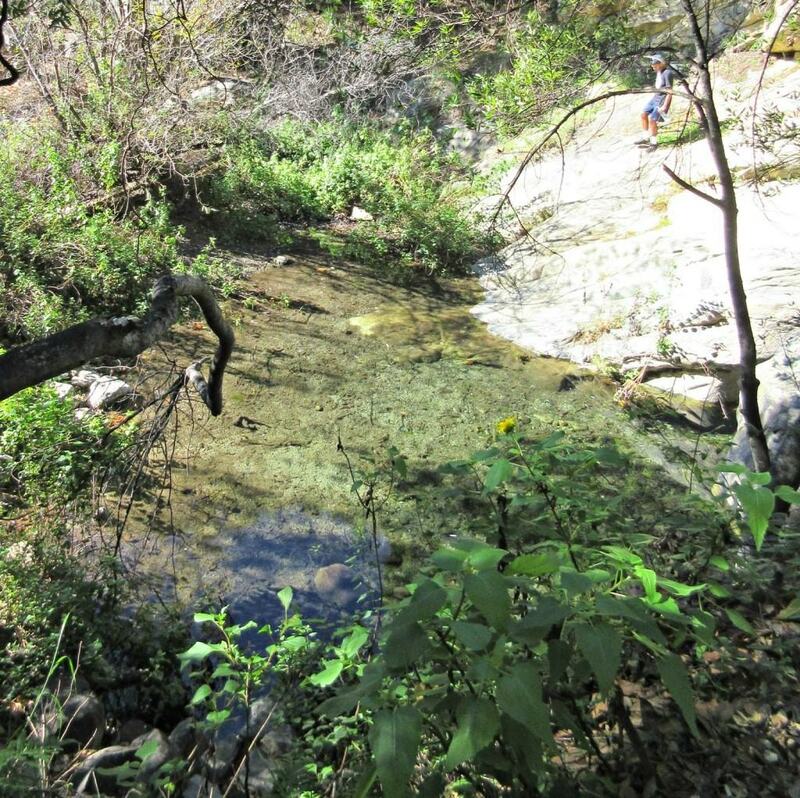 You’ll walk through dense trees, beside huge boulders, and pass by sparkling ponds. 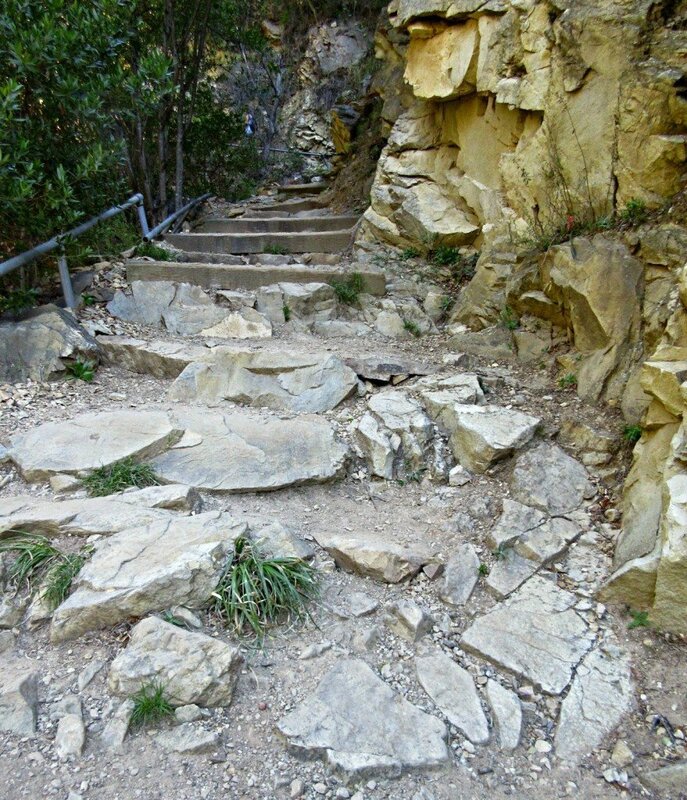 Although the ultimate destination – the waterfall – was not flowing, we enjoyed this hike, its scenery, and the physical challenge that it gave us. 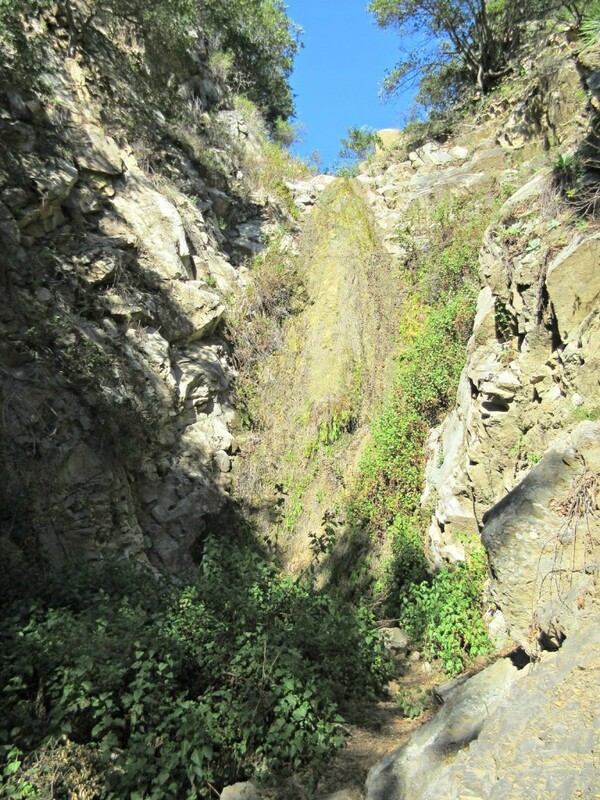 The Go Hike It Team highly recommends this Santa Barbara hiking trail – the San Ysidro Montecito Waterfall Hike. 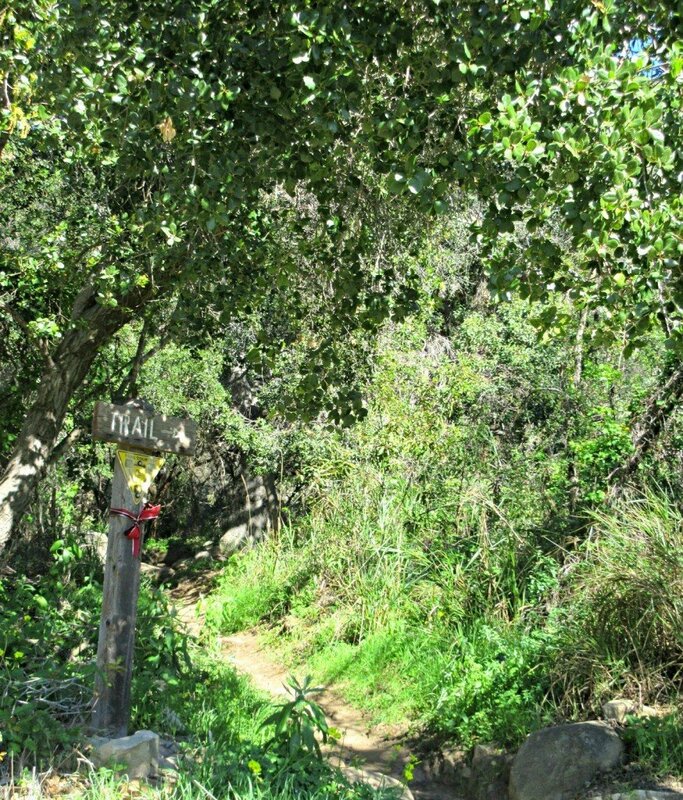 The nature that surrounds the hike is lush, the incline is medium, and the ocean views as you descend down the trail are impeccable! 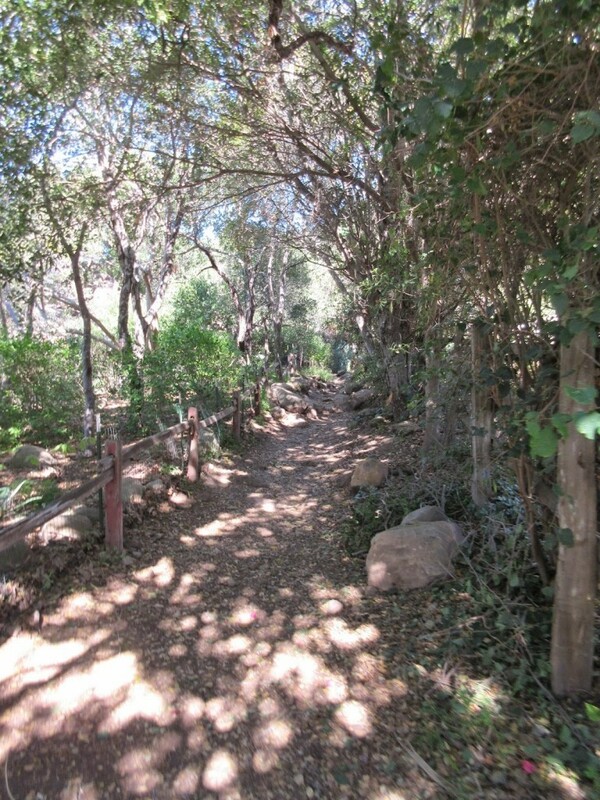 Several of the trail’s section is shaded with tree overhang, which protects hikers during some of the hotter months. 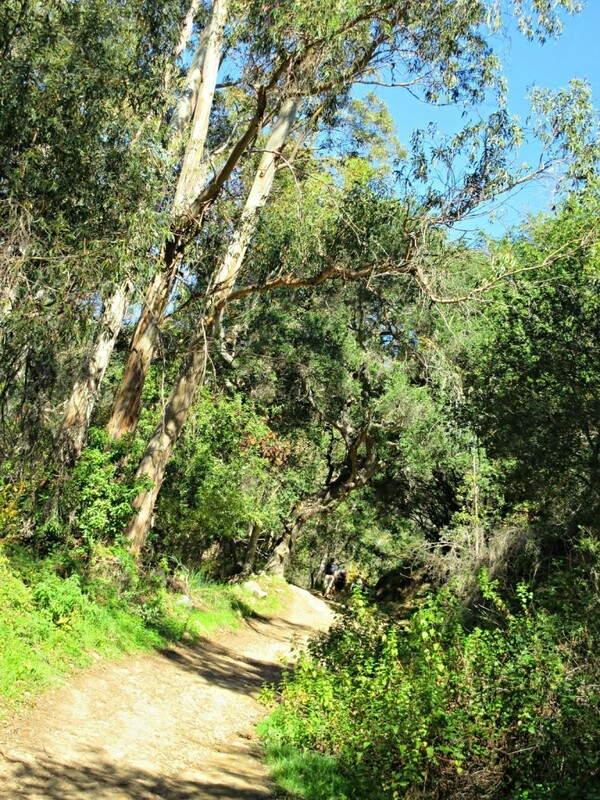 It’s the perfect Saturday hike for all types of physical levels too. Depending on your ability, it should take you between 1 hour to 2 hours total. From the 101 freeway exit San Ysidro Road. Turn right towards the mountains and drive 1 mile to East Valley Rd (a stop light). Turn right on East Valley Road and drive 3/4 of a mile to Park Lane. Turn left on Park Lane and drive 1/2 mile to Mountain Drive. 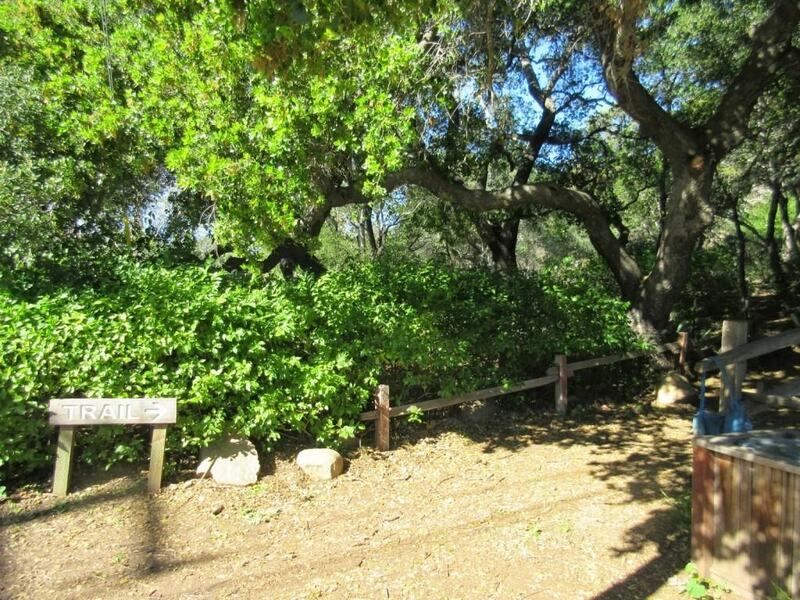 Drive to the end of Mountain Drive and the San Ysidro Trail head will be on your right. Turn left towards the mountains and drive 1 mile to East Valley Rd (a stop light). Park along Mountain Drive where you can find a spot for your car. We arrived at around 11:30 am on a Saturday and the street was already very crowded. Be aware of parking in the residential area too, as we saw a couple of cars with notes on them. 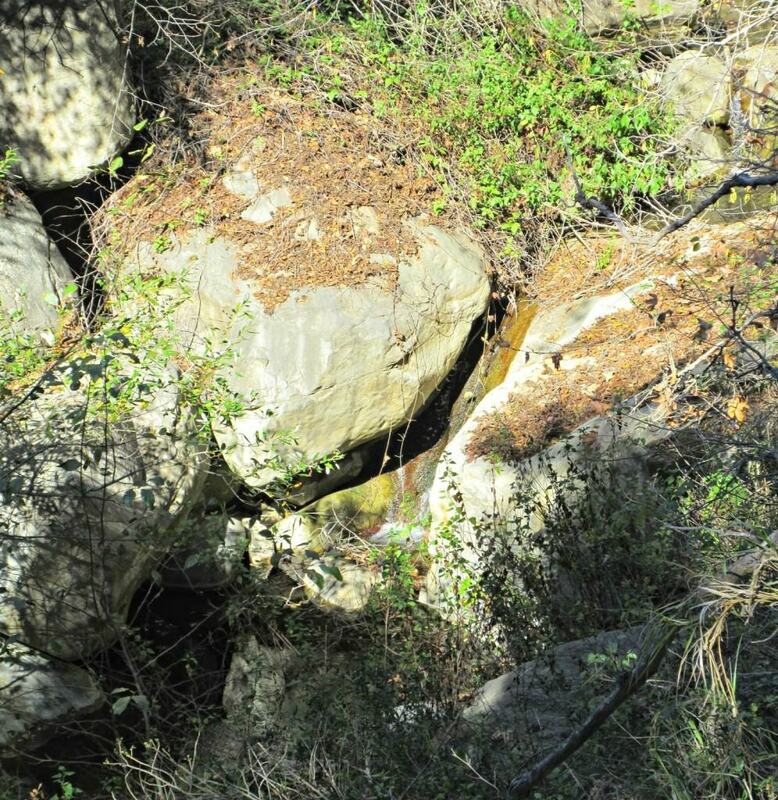 If you’re interesting in seeing an “active” waterfall, then doing this Santa Barbara hike after a good rainstorm would ensure that water would be flowing. 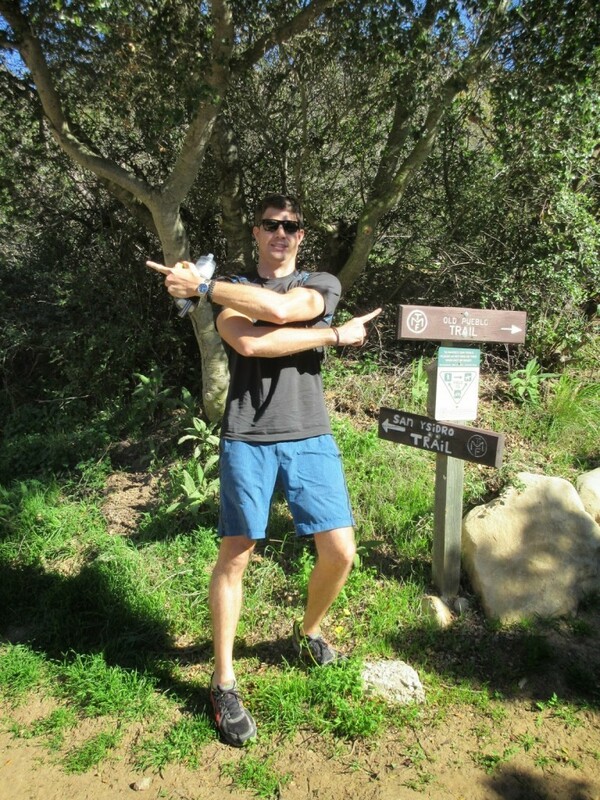 However, even though the waterfall was dry for us, we completed this hike in January and the weather was absolutely beautiful (thanks southern California)! 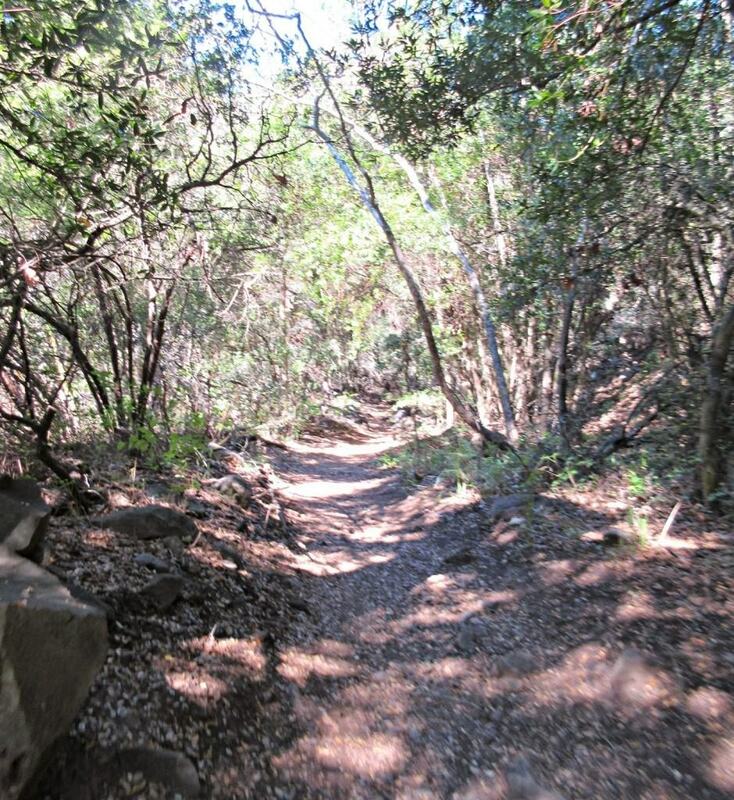 If you plan to do this hike in the summer, morning is probably the best time for cooler temperatures. 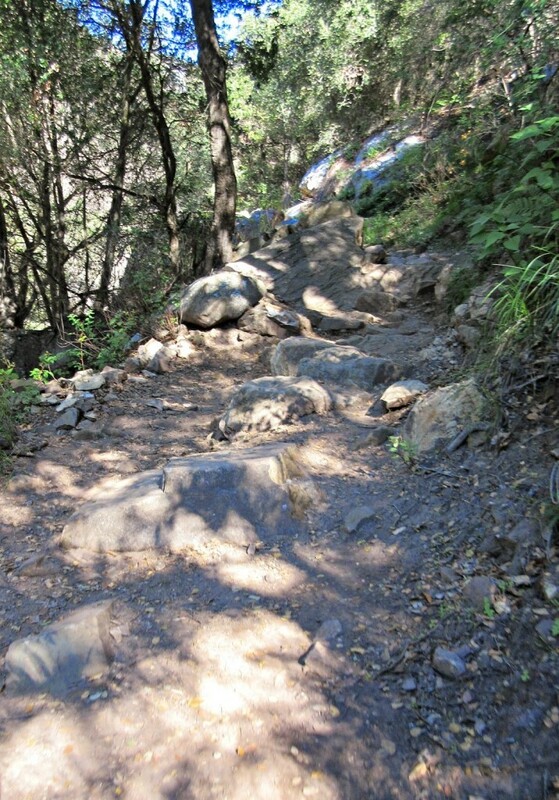 And, if you plan on doing this hike after a rainstorm, be aware of muddy conditions. 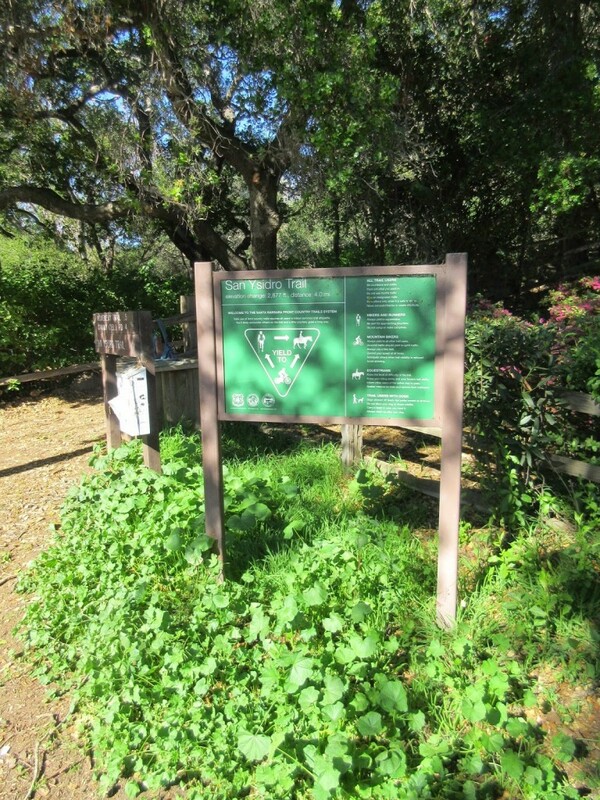 The trailhead on Mountain Drive. 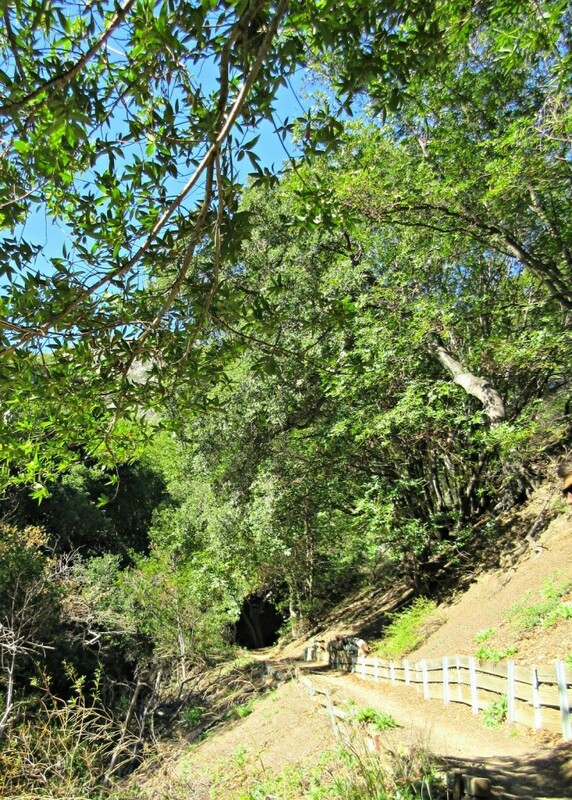 Beginning of the trail on Mountain Drive. 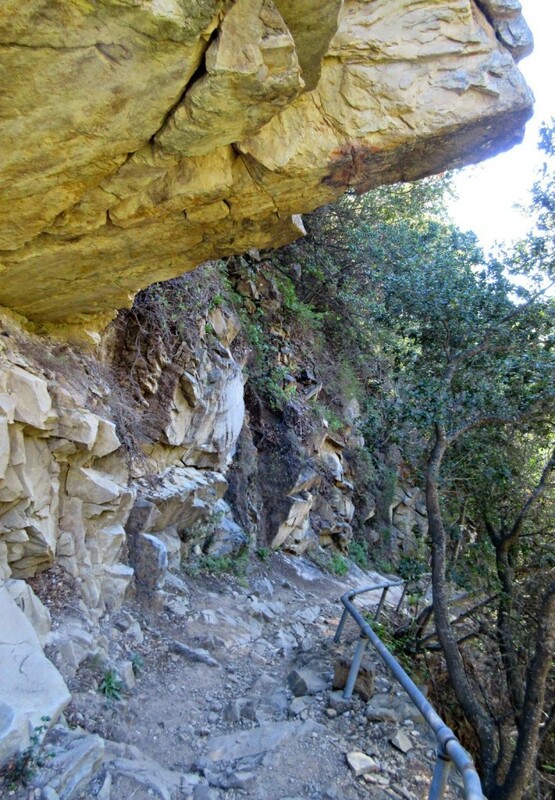 The scenery on the start of the trail. 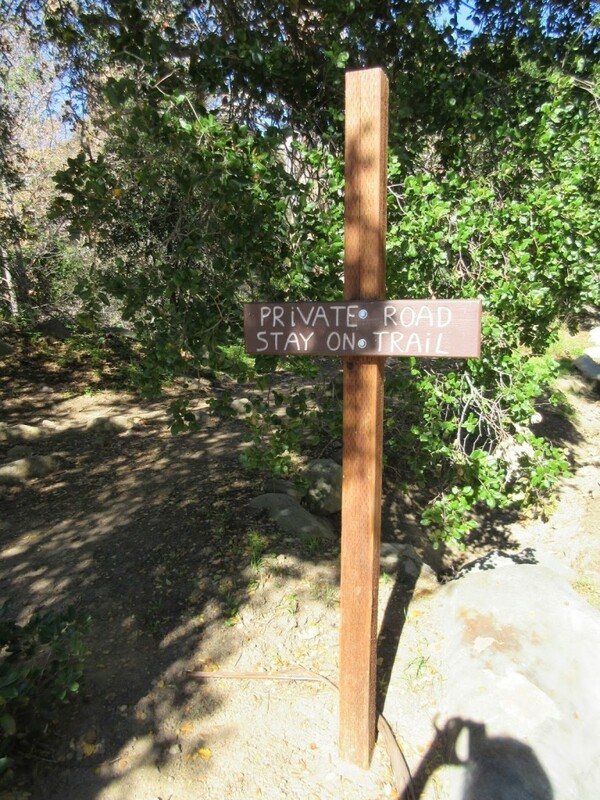 Caution: stay on the trail and do not venture on the private roads. There are plenty of signs to lead you in the right direction. Small waterfalls along the way. Lots of shade from the trail’s many trees. 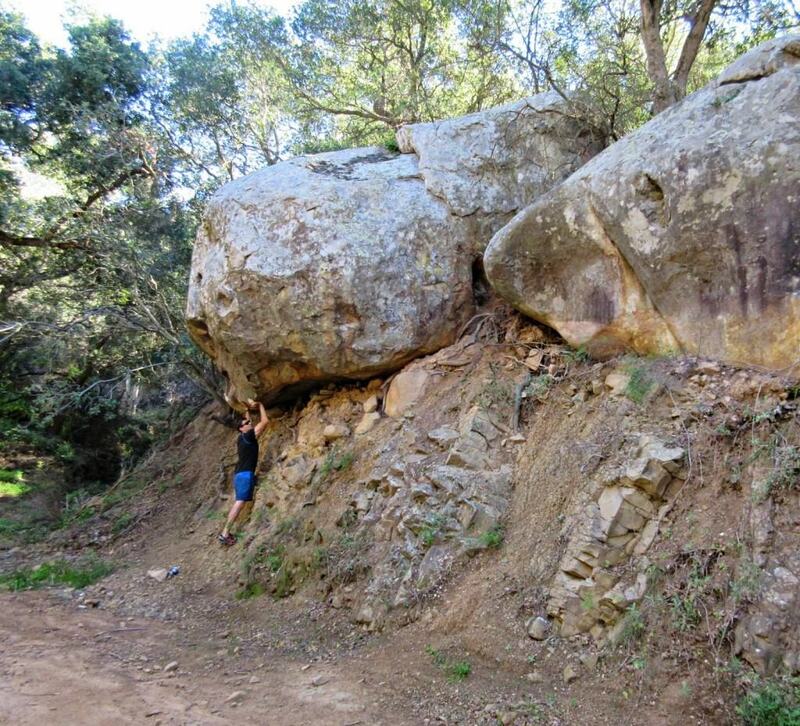 Huge boulders along the trail. 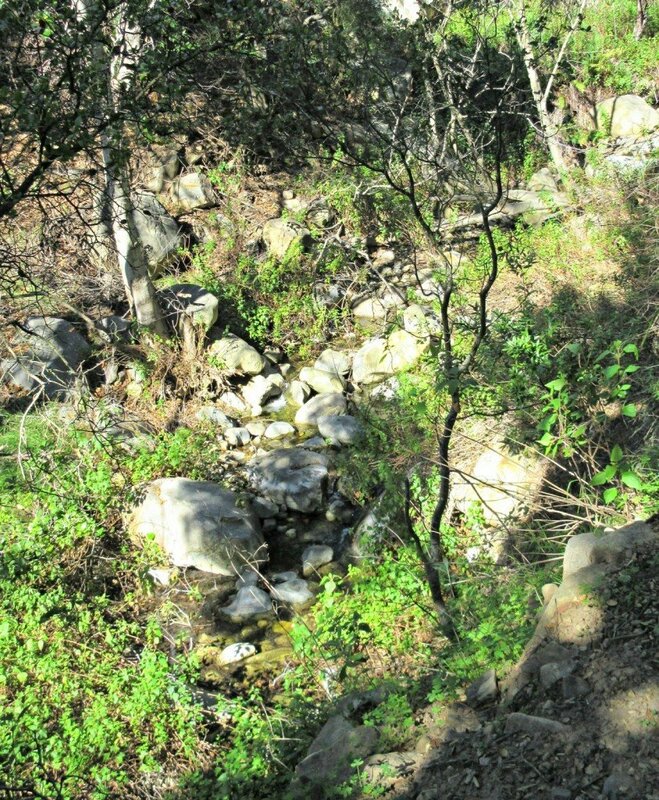 A small river to the left of the trail. Small pond on the left. 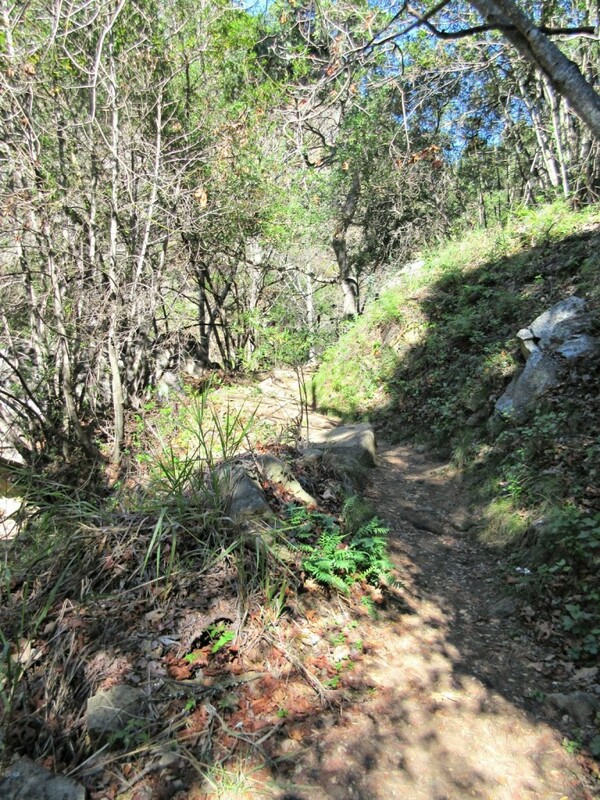 The trail continues to the waterfall. 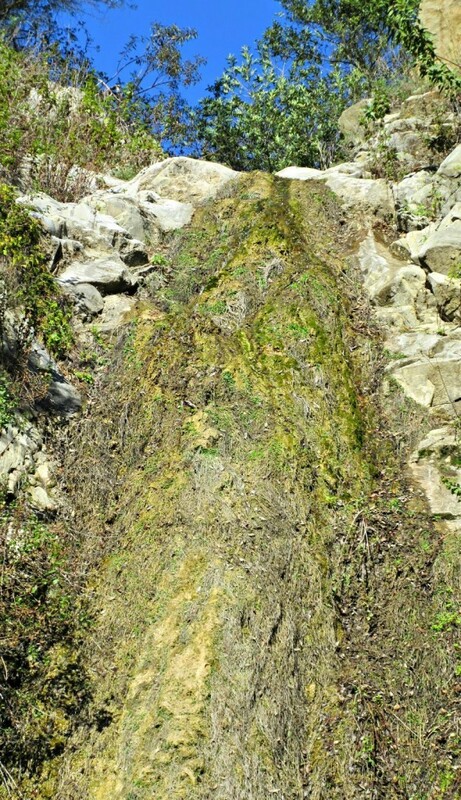 The waterfall with little flowing water. 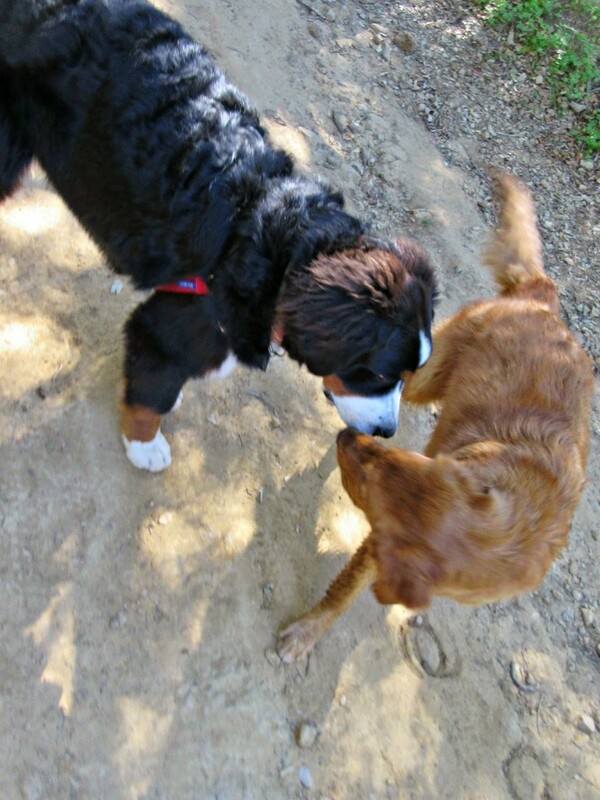 Dog Friendly: Yes! 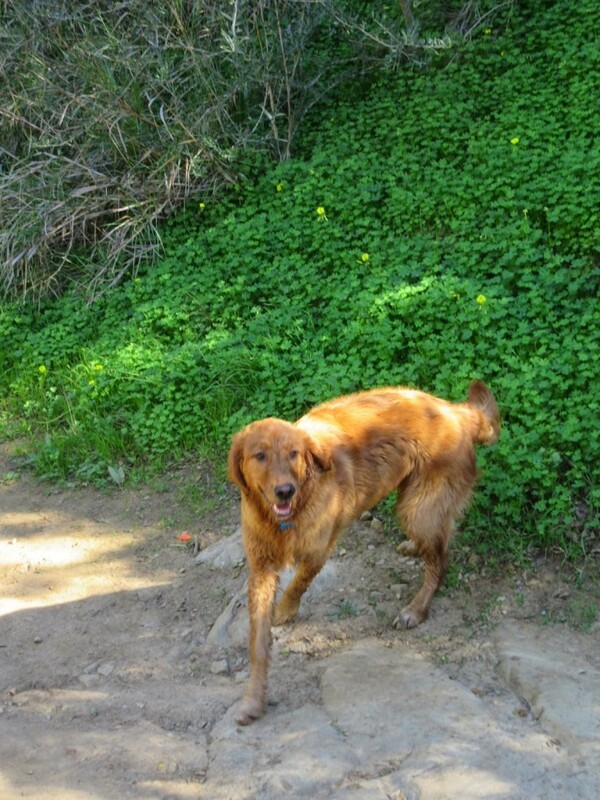 We saw lots of dogs on this Santa Barbara Dog friendly trail. 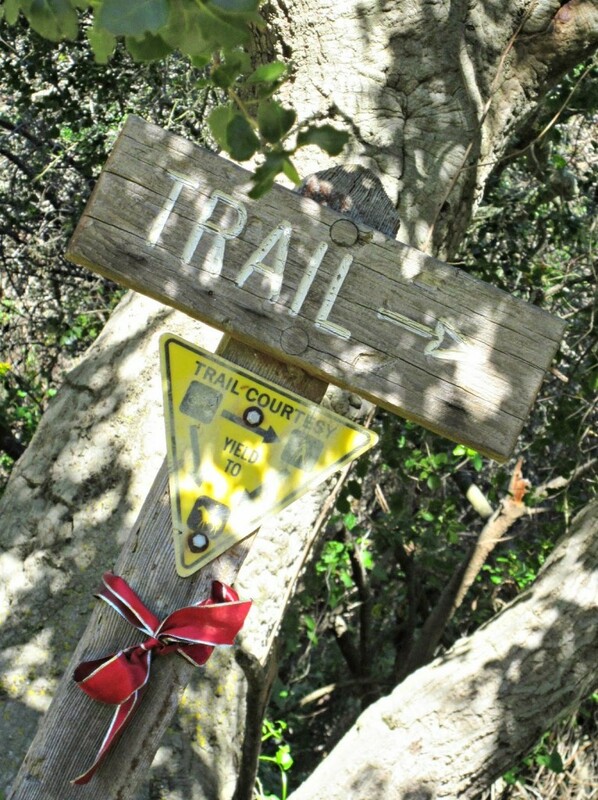 Dog-friendly hiking trail in Santa Barbara.